This is the web page for downloading xml templates to be populated and then uploading required documentation to PSCS without the use of Word forms. NOTE: Each page also has links for all of the other templates. These pages tend to look alike. 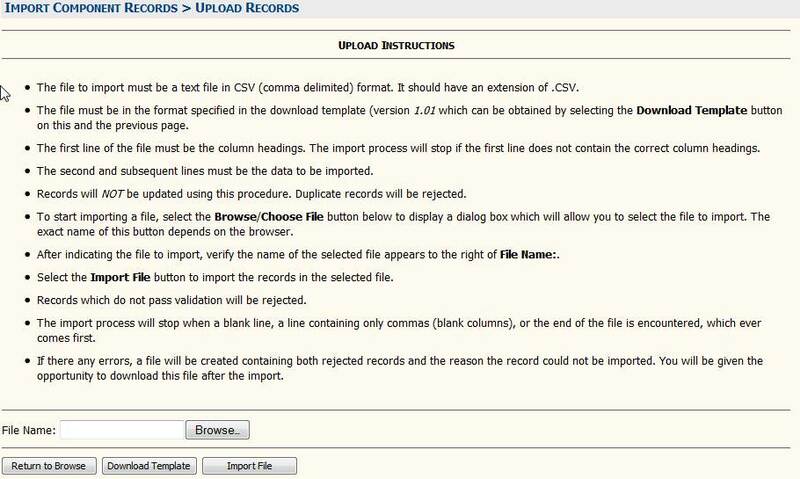 The “Download” button and the first line of the instructions will specify which template is being downloaded. The user fills out the spreadsheet, and saves as CSV, comma delimited file. The user logs into the PSCS database. The user reads the instruction then clicks “Browse” and navigates to the file location and selects the file. Then clicks “Open” and file is loaded. Set the “Save as type” drop down list at the bottom of the dialog box to “All files” before selecting the Save button. Locate HTML Document under Content Type – it may display as Chrome HTML Document or other HTML Document. It should say “Always ask” in the Action column. Click on Always Ask and change it to Save File. If “Save files to …” is selected, it will not ask but will always save to wherever you have designated. If “Always ask me where to save files” is selected, it will display the dialog box and you will need to select “All Files” as the type of file to save. Either f or g is fine, it is your choice. Select the “OK” button to save. The download should save properly now. As an alternative to either of the above, when viewing the file in the downloads folder (Ctrl-J on PC), manually delete the “.htm” extension leaving only “.xml”; computer will now recognize as such and changed icon.